After the nice pastoral scenes of my last couple of posts, I felt like getting back to some grunge tonight. It’s been a tough week! HDR created from three hand-held bracketed photos (-2.0/0.0/+2.0) processed in Photomatix v4. Post-processing in Topaz Adjust / DeNoise with Paintshop Photo Pro X3. So many more images from that day that I would love to share…. 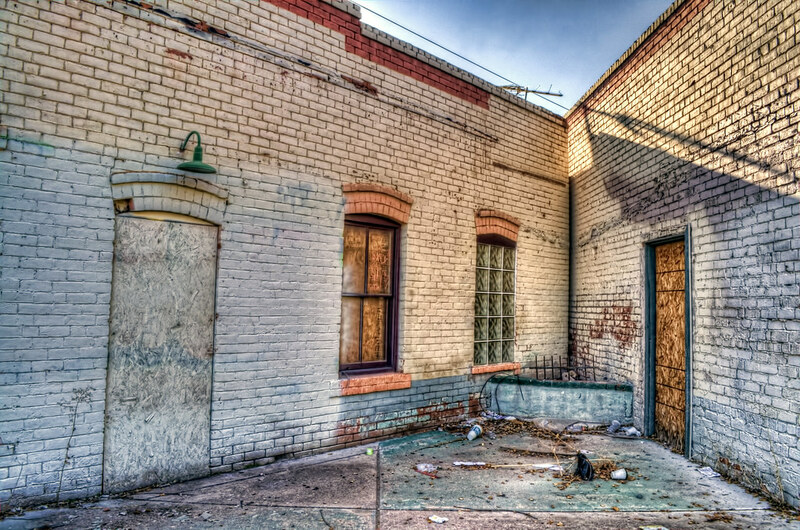 This entry was posted in Processing, Shooting and tagged abandoned, Arizona, AZ, building, camera, D5000, grain, Grand Avenue, grunge, HDR, Nikon, Paint Shop Pro, Phoenix, photography, Photomatix, software, Topaz, urbex. Bookmark the permalink.